Investors are increasing their allocations to private markets and infrastructure is in demand, according to new research. Global investors have steadily been adding new strategies to their portfolios in the past three years with private debt, unlisted infrastructure, unlisted real estate and emerging markets equity topping the list, a new survey by London-based specialist consultant firm bfinance found. Of the 485 senior investment professionals surveyed, 66 percent said they had added a new asset class to their portfolio, while nearly half had increased their allocations to private markets. Private debt was the most popular asset class to be added in Europe and globally, while infrastructure was the number one new addition in the US, followed by real estate, emerging markets equity and private debt. Geography also played a role when it came to ESG issues. While 51 percent of European investors identified ESG as a “high priority”, only 27 percent of North American investors did so. 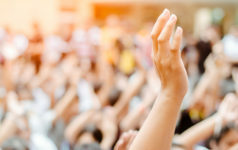 The difference was even more pronounced when asked whether ESG issues will play a role in manager selection, with 58 percent of Europeans saying it will compared with 26 percent of North Americans. While the majority of those surveyed are moving towards more complex and illiquid investments, the survey found that 51 percent are paying less in external manager fees. “Renegotiation, mandate consolidation and transaction cost analysis have proved to be key tools in the investor’s arsenal, while 31 percent of investors have shifted toward passive management in the past three years,” bfinance said in a statement. Despite the cost reduction, high costs/fees were cited as the number one obstacle when investing in private markets. While 49 percent of investors surveyed have increased their allocation to private markets, 46 percent are underweight with respect to their long-term strategic asset allocations. Other obstacles to reaching target allocations include lack of in-house expertise, difficulty finding good managers and challenges executing co-investments. Looking ahead, 9 percent of respondents said they plan to add a new investment strategy within the next year; nearly half of whom – 47 percent – said they’re looking at infrastructure. The London-based firm conducted its survey between April and June, with respondents representing public and private pension funds, endowments, family offices and other institutional investors. Fifty-three percent of respondents were from North America, and the US was the largest country represented. The size of investors varied, ranging from 21 percent with less than $1 billion in managed assets to 18 percent with more than $25 billion in AUM. Jordan Stutts contributed reporting to this story.